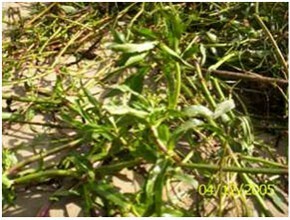 Preparation : Leaves eaten as a vegetable; also used in salads. Whole plant cooked for decoction and soup extract. Ingredients : Four new esters (Tiglate, 4-hydroxymethacrylate, 4-hydroxyliglate and 2,3-epoxyisobutyrate ) of 8-desacylenhyren and 8-b-methacryloxy-9-a-acetoxy-14-oxo-acanthospermolide have been isolated from the aerial parts. 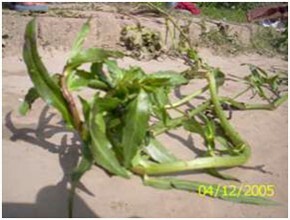 Ailment Treated : Decoction of the plant is used in urinal troubles, diarrhoea and dysentery. Source : Common in the valley on rich damp soil and wetlands.